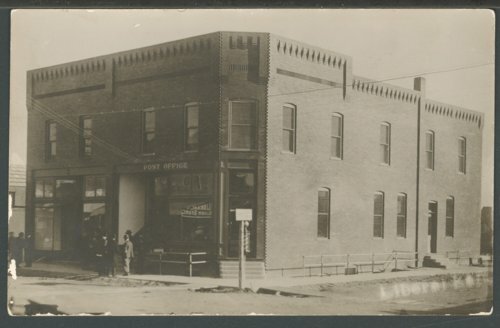 This is a postcard showing the post office building in Liberal, Kansas. The structure was built by A. L. Blake in 1908 at the southeast corner of Second and Lincoln. It is a two story brick building.